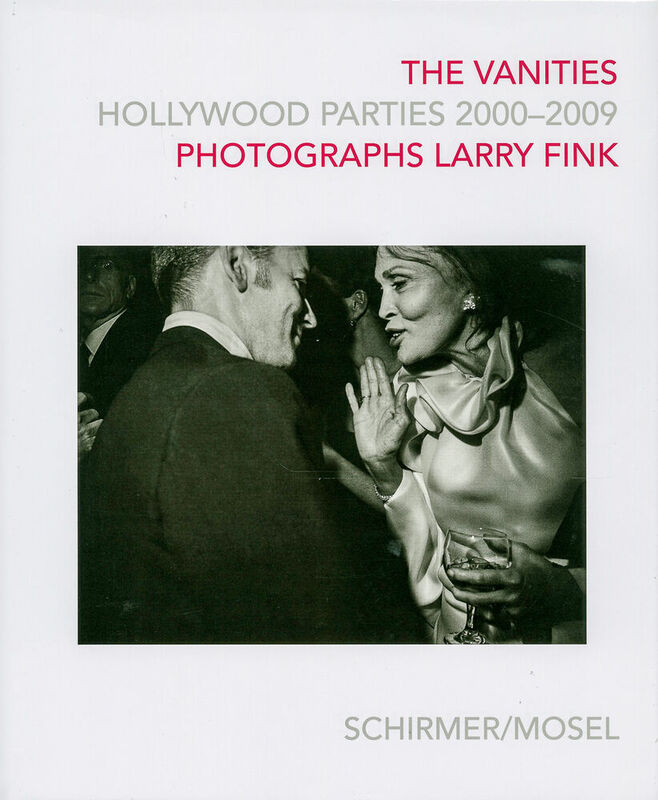 140 pages, 27 x 32 cm , 1680 g.
Vanity Fair's Oscar parties have become a legend of their own over the last decade. A summit of the greatest Hollywood stars, they are the ultimate melting pot of beauty, fame, glamour, and wealth. For ten years American photographer Larry Fink, famous for a keen, uniquely sensual documentary eye, has been the official interpretive Vanity Fair photographer of these events. His view of superstars and their entourages is in sharp contrast to everything we know and expect of official Hollywood. His look is clear and honestly searing; his flash light is married to the instant in devilishly expressive ways. His photographs capture the atmosphere of these meetings reminiscent of evenings at a royal court. With his sensual and intuitive eye, Larry Fink shows the celebrities of the glamorous movie world anxiously at leisure.